“Everyone can be great, because everyone can serve.”– Martin Luther King, Jr.
With every new year it seems like our lives get busier and busier. The US Department of Labor reports that volunteer rates are steadily decreasing as time progresses. That is not really progress is it? Volunteering /community service can have a lot of positive effects of students and adults of all ages. 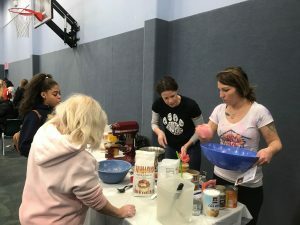 Volunteering allows new skill sets to be explored, new relationships to be formed, and fosters a greater understanding of our world and our neighbors. 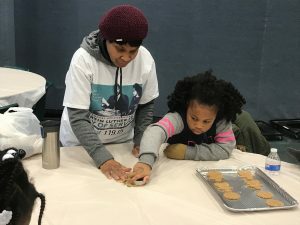 Helping others through volunteering empowers us in feeling like we can make a difference in the world, and reinforces the interconnected experience we have with others in our communities and on this planet we share. On January 21st we honor Dr. Martin Luther King, Jr with a day of service. 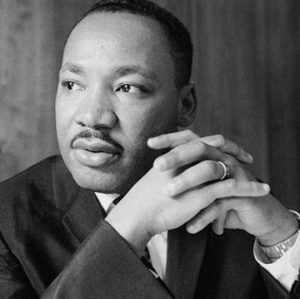 Dr. King had incredible drive, strength, and passion that not only changed the Civil Rights Movement, but also encouraged and inspired others to stand up for what is right and to make service a part of everyday life. The HousePaws community finds inspiration in the words and actions of Dr. King and dedicate one day a year specifically to honor him and his legacy of service to others. We would love for you to join HousePaws and our rescue affiliates at one of our community day of service events on January 21, 2019 to help make treats and toys for pets who have not yet found their forever home. 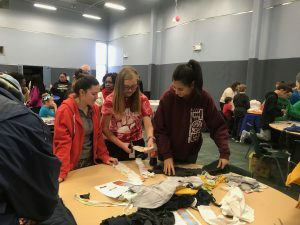 Throughout the year we offer many community service opportunities for people of all ages including community health clinics, events for children that are less fortunate, educational activities, and environmental projects. In 2018, we worked with over 100 animal rescues, the Caribbean Spay Neuter Project, Habitat for Humanity, the Angels Community Outreach, and Joseph’s House in Camden, NJ. In 2016, HousePaws decided as a company to give our team 1 paid community service day a quarter to encourage our team to help the community. We encourage you or the company your work with to look at other companies and non-profits that touch your heart and dedicate some of your time to help their mission of helping people, animals, or our environment. To increase awareness please share with us what you or your company are doing! We would love to highlight you, your family, or your office for your good deeds! Email your community service story to Community@HousePawsMobileVet.com. We look forward to your ventures in helping our world. 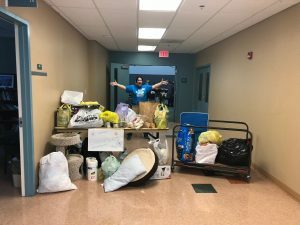 HousePaws is busy in the community year-round! Check out other local events on our events calendar. Happy New Year and thank you in advance for your service!